What do you mean by a definite integral? How is indefinite integral different from definite integral? Definite integral is generally considered to be a tough topic by students. It must be studied after one is thorough with the concepts of indefinite integrals. The topic is flooded with formulae related to change of limits etc. and hence demands consistent practice. 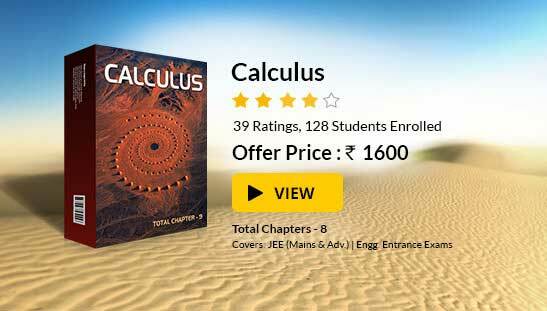 It is an important component of the IIT JEE Mathematics syllabus and so students cannot dare to skip this topic. It not only requires learning of all important formulae but also requires a good speed with thorough knowledge of integration. Many students grasp integration but make silly errors when completing the two part calculation. Simple peer assessment could help students to think about setting each step of their work minimizing these small but significant slips. This work could be made more engaging by inviting students to mix and match integration problems with graphical representations. Broadly speaking, this section also forms the root of all scientific organizations and studies. is called the definite integral of f(x) between the limits ‘a’ and ‘b’, where d/dx (F(x)) = f(x). The value of the integral is unaffected by the variable of integration as long as the limits of integration remain the same. If the limits of integration are interchanged, the value of integration remains same but the sign changes. If the value of the integral is zero, then the equation f(x) = 0 has at least one root in (a, b) provided f is continuous in (a, b). The converse of the above result is not true. where c is a point lying inside or outside the interval [a, b], provided the function ‘f’ is piecewise continuous in (a, b). where ‘a’ is the period of the function i.e. f(a + x) = f(x). where f(x) is periodic with period ‘a’. Replace r/n by x and 1/n by dx and lim n→∞ ∑ by the sign of ∫. The lower and the upper limit of integration are the limiting values of r/n for the first and the last term of r respectively. The definite integral can be interpreted to represent the area under the graph. This follows from the definition itself that the definite integral is a sum of the product of the lengths of intervals and the "height" of the function being integrated in that interval including the formula for the area of the rectangle. The figure given below clearly illustrates that as we find the value of the definite integral a to b, we are actually finding the area of the shaded portion. Given that F(x) = ∫ f(t) dt, where integral runs from 0 to x. Hence, option (3) is correct. This gives the value of x as ±1. (a) the function f is continuous on [a, b] and the functions g1 and g2 are also continuous. (b) the function f is discontinuous on [a, b] and the functions g1 and g2 are differentiable in [a, b]. (c) the function f is continuous on [a, b] and the functions g1 and g2 are discontinuous. (d) the function f is continuous on [a, b] and the functions g1 and g2 are differentiable in [a, b]. (a) is a definite value without a constant (may be finite or infinite). Q1(d), Q2( c), Q3(b), Q4(a), Q5(a). You might like to refer Indefinite Integral. To read more, Buy study materials of Definite integral comprising study notes, revision notes, video lectures, previous year solved questions etc. Also browse for more study materials on Mathematics here.